Time for a photo thread for Sibu Airport (SBW), Sibu, Sarawak for the year 2019. Last year was a disappointment for me, as i flew only twice (SBW-KCH-SBW) so only few photos was snapped and share with you guys here. 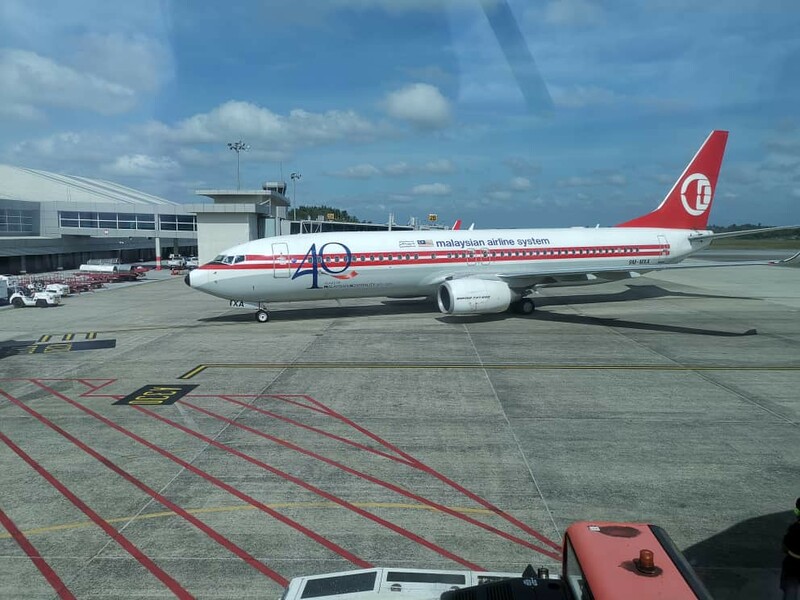 Just want to share this photo snapped by my friend on his flight to KCH yesterday (19/01/2019), MH retrojet in SBW, arriving from KUL. Feel free to share any photos here if you're in SBW throughout the year 2019. Any schedule monitor pictures for sibu airport? Want to see the extra flight on the screen.. There are extra flights to Sibu for the CNY, i think i spot 2 of them on Flightradar24, from Johor Bahru and KL. And both of them departed around 2300hs and landed between midnight and 0100hrs. Approximately 8 AK flights to/ from KUL, 4 AK flights to/ from JHB and 3 MH flights to/ from KUL everyday in last few days. On most days, you would be able to get a total of 22 daily A320/ B738 departures or arrivals. SBW is certainly busy during festival period. Universal Entertainment Airbus A318 ACJ (Airbus Corporate Jet) was spotted today at the airport, as the jet carrying the CM of Sarawak entourage for Chinese New Year visit in SBW.